Professor John Maxwell Coetzee will receive the honorary doctorate degree at the University of Silesia in Katowice. The award ceremony will be held on Tuesday, 23rd October 2018 at 11.00 in Lecture Hall no. 8 at the Faculty of Law and Administration (11b Bankowa Street, Katowice, Poland). Prof. John Maxwell Coetzee is one of the greatest writers of our time, a laureate of the Nobel Prize in Literature, winner of two Booker Prizes and many other prestigious literary awards, recipient of the highest honour in South Africa, the Order of Mapungubwe, Professor of Literature at the University of Adelaide, the patron of the J.M. 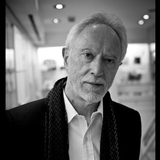 Coetzee Centre for Creative Practice, a distinguished scholar and translator of literature. Conferring the honorary doctorate degree to Prof. Coetzee is a result of a request of the Council of the Faculty of Philology. The request was approved by the Senate of the University of Silesia on 26th June 2018. 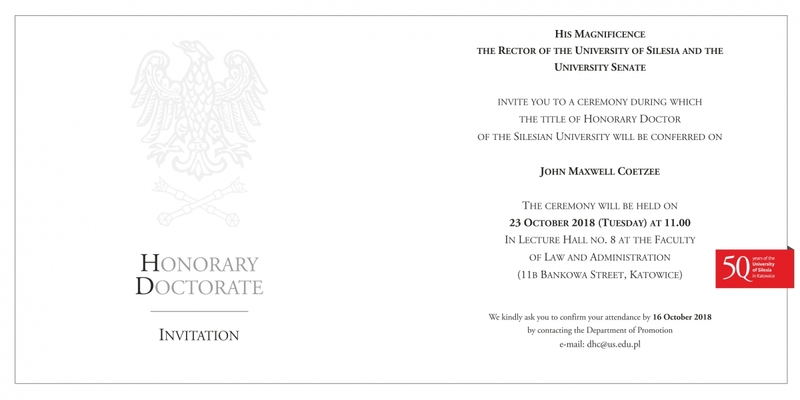 Partner of the ceremony of awarding the honorary doctorate degree of the University of Silesia to Prof. John Maxwell Coetzee is the Znak Social Publishing Institute.